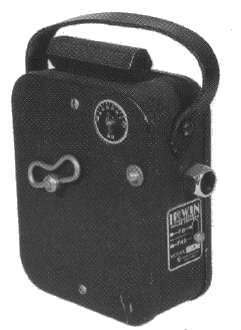 The Irwin Model 16 is a movie camera, that used a 16mm film, and was produced in 1930. It was equipped with a lens, without any brand, 1:4,5 1 inch. The camera has two adjustments on the front for the external light. The body is in black metal. It weights kg. 0,900 and the measures are the following: 49x130x115 mm.